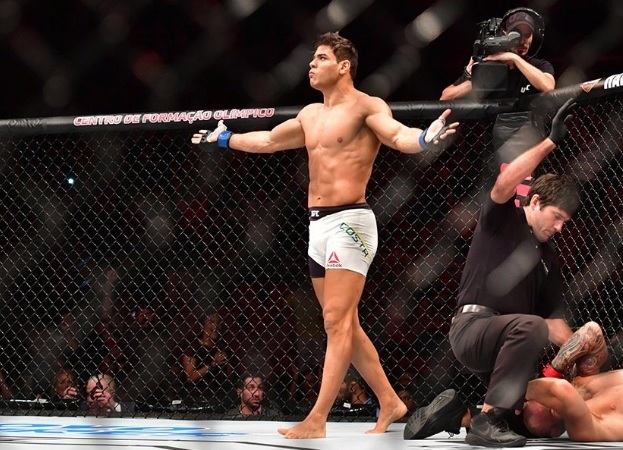 The UFC’s reported plans to have Paulo Costa and Yoel Romero fight have been postponed again. The promotion hoped to have the middleweights fight at UFC 230 earlier this month in New York City. But, Romero was unable to commit, due to injuries he sustained in his decision loss to Robert Whittaker this past June. According to a new report from ESPN, the UFC was targeting its January 19th card in Brooklyn for Costa – Romero. But, Costa will not be ready by that date due to a minor injury he’s sustained. Romero is reportedly hoping to face Anderson Silva at the event instead, but Costa is apparently pushing for the fight to take place in March. The latter is coming off a stoppage win over Uriah Hall in July.